The 2017 annual Fremantle Studies Day (convened by the Fremantle History Society) will be held at the Fremantle Army Museum on Burt Street and feature four papers on the culture and historical life of Fremantle. My paper Fremantle Arts Centre: Contemporary Programming in a Historical site will examine the range and merits of contemporary artistic engagement with the history of the Fremantle Arts Centre site, which includes a 19th Century ‘lunatic asylum’, a home for elderly women, a midwifery school, a training college, publishing house, US naval depot and contemporary arts centre. Curtin’s annual graduate survey will showcase four selected artworks from my recent Internet Explorer exhibition alongside the work of other recent Masters and PhD graduates. I have an amalgamated artwork in this year’s annual Paper Mountain art auction, which brings together miniature painted elements from several of my previous exhibition projects in a custom-built display case. The work gives both an archaeology of my practice and the process of searching for imagery and information about geographical locations through online media. 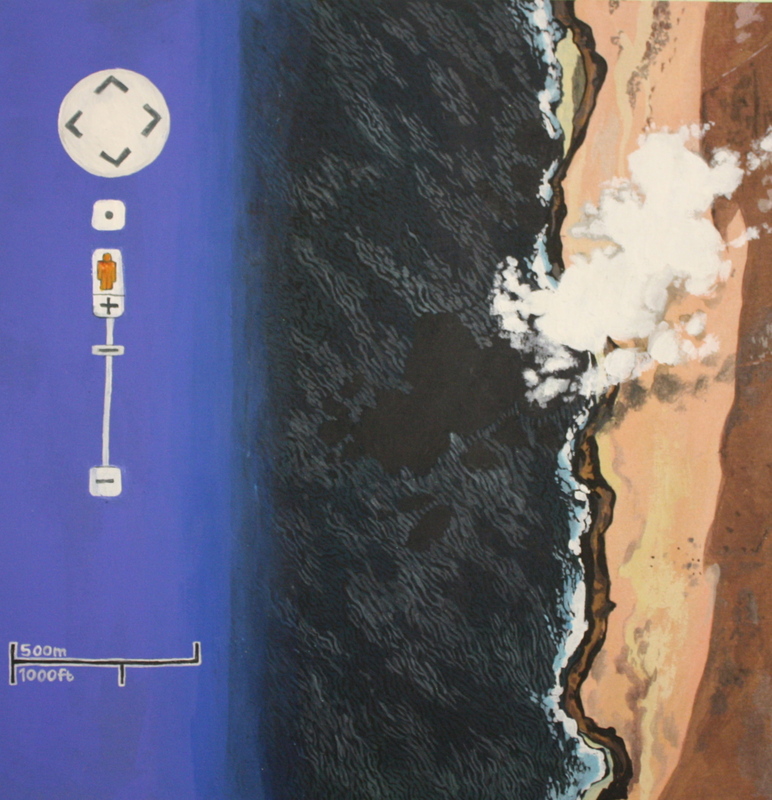 Combing Google Maps in search of islands, Perth artist, writer and PhD candidate Sheridan Coleman collects on-screen views as miniature paintings, unearthing the beauty, absurdity, wonder and humour of digital geography. Descendent of the natural history museum, Internet Explorer is an intimate collection that explores the cultural concept of landscape, roaming far and wide over a global picture as embedded with narrative and spectacle as with pixilation. Words Beyond Grammar is a group exhibition curated by Claire Bushby and SJ Finch, and began as a response to Boris Groys’s essay of the same title which explores how the internet, and in particular Google, are philosophical machines through which we struggle to gain access to the truth. Google changes the way we ask questions of and interact with the world – transforming our relationship to truth, translation, and the body. This project was assisted by the Australian Government through the Australia Council, its arts funding and advisory body. 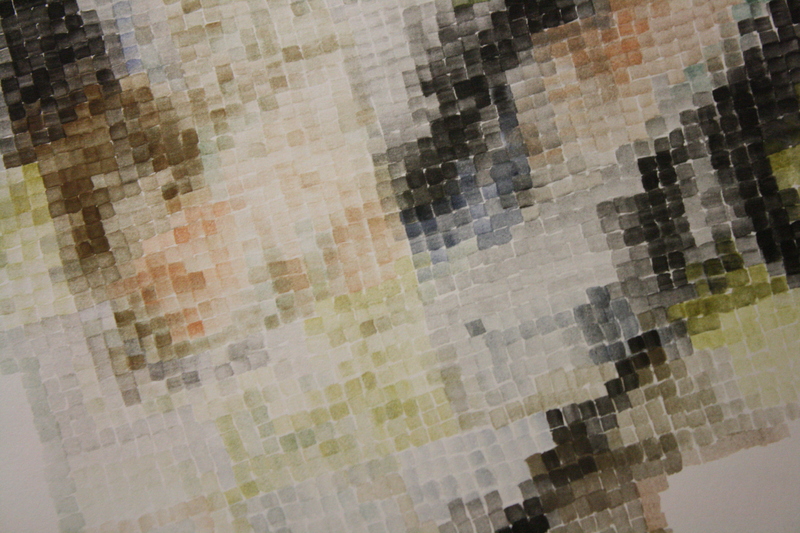 Sheridan Coleman’s solo exhibition Wilderness User features recent works created in relationship with her PhD study. Her research examines how the prevalence of Google Earth and Google Maps may have impacted the way landscapes are seen and understood and provides an evaluation of the response of contemporary landscape artists to digital methods of interacting with landscape imagery. Wilderness User is the artistic embodiment of one of the central concerns of her study: the way in which an artist might harness the possibilities and limitations of Google Earth to communicate what it is like to travel, explore and navigate landscape as a digital user. The exhibition pits the sincere proposition that virtual travel on Google Earth may be a rewarding and informative visual experience, against an acknowledgement of the inherent inauthenticity and erroneous data present in the Google Earth system. Incorporating model making, painting, drawing, photographic collage and photography, each artwork in the series will be dedicated to a different location, which Sheridan has explored online. The result is a large series of multimedia works that are a playful, diaristic account of an attempt to embody a romantic ideal of geographical exploration whilst simultaneously battling and edifying the unrealities of digital landscape. Sheridan Coleman will be giving a 20-minute paper entitled The Australian Ocean as an Agent of Gothic Disappearance at this year’s GANZA (Gothic Association of New Zealand and Australia) conference in Sydney in January. The paper is an overview of the work of several Australian artists in whose practice the ocean, and in particular the shark, take on a sinister and mysterious character, in order to enact a proposed ‘gothic disappearance’, in which unlucky individuals are erased from the landscape without trace. The paper will locate the Australian ocean as a unique Gothic landscape within the tradition and cultural narrative of Australian Gothic. 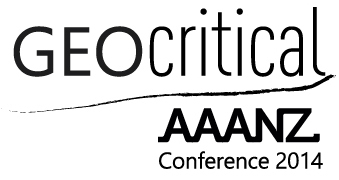 Sheridan Coleman will be giving a 15-minute paper entitled Seeing, Imaging and Imagining Unvisited Lands at this year’s AAANZ conference in Launceston and Hobart in December. The paper will address the artistic and philosophical implications of viewing wilderness landscapes using Google Earth, Google Maps and Google Street View, and will be illustrated by the work of various artists who have harness these softwares as art making and virtual travelling tools. 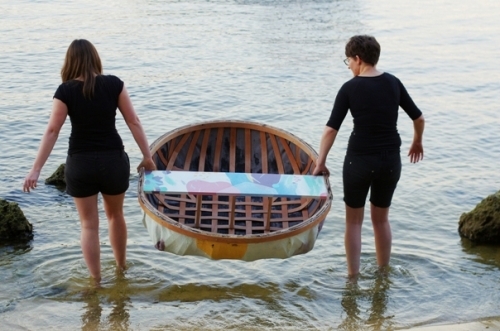 Along with artistic collaboration Snapcat (Renae Coles and Anna Dunnill) and artist Teelah George, all from WA, Sheridan will be speaking at the public program of Fremantle Art Centre’s exhibition Horizon: Exploring the West Coast with the Clipperton Project. The session will be themed around cultural relationships with the coast and Sheridan’s presentation will be on the way that the ocean can be seen as a threatening character in the Australian historical narrative. 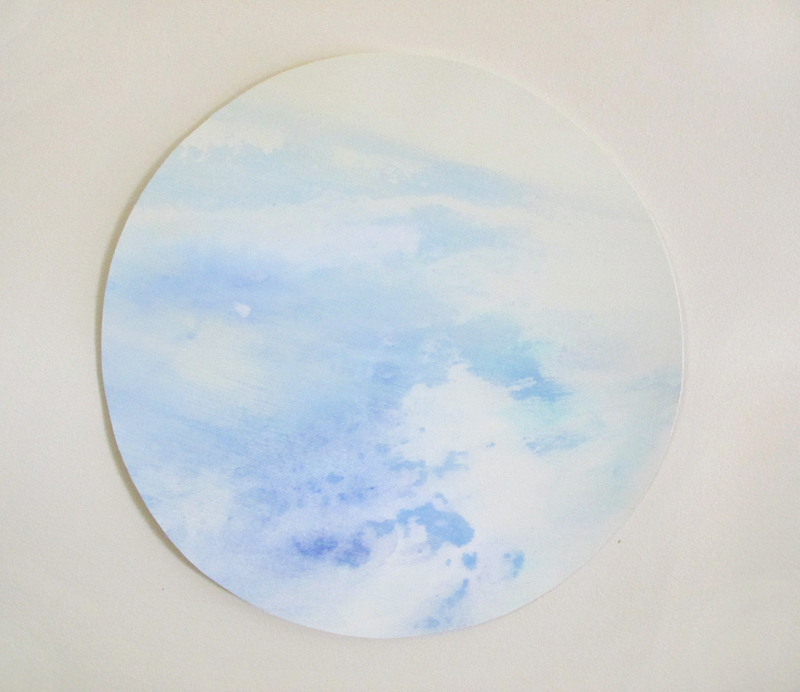 Sheridan Coleman will be providing the opening night address of WA artist Lauren Cowdrey’s debut solo exhibition of recent drawings and paintings Tears/Other Worlds at the Daphne Collection in North Perth. The opening will also feature a musical performance by Jane Harris. 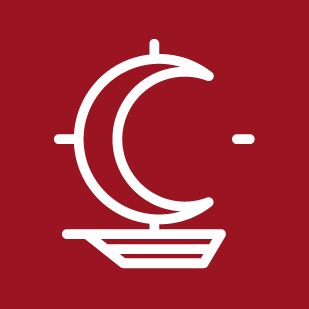 Artworks will be for sale and some snacks and beverages will be provided. Sheridan Coleman will perform a short spoken-word piece with accompanying slides, entitled Here I Am At The Grand Canyon. The piece is based on her research into the philosophical difficulties with experiencing place authentically and presenting recordings of that experience without some element of failure, alteration or confusion. This will be one of a whole bill of great performances by Western Australian poets, writers and lyricists at the bi-monthly Ships in the Night event, at Bar 459 at the Rosemount Hotel. 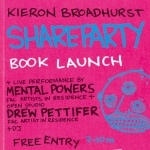 Sheridan will be giving the opening address at the book launch for WA artist Kieron Broadhurst’s new artwork project and resulting book, Shareparty, to be held at Fremantle Arts Centre. The night will also feature a studio talk by resident artist Drew Pettifer and a performance by math/psych band Mental Powers. Sheridan will be present at the opening of her second solo exhibition Midnight, Forecastle at The Daphne Collection in North Perth. All are welcome, refreshments will be provided. The exhibition will run for three weeks, open on Sundays and conclude with a final open day afternoon tea, with artist present to answer questions. 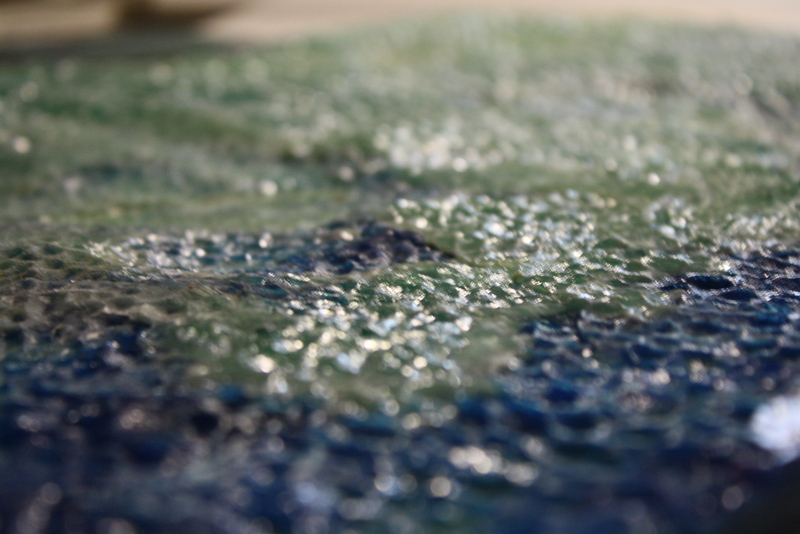 Cropped Open Ocean, a recent resin-pour artwork by Sheridan Coleman, will be showing as part of the City of Perth’s Light Locker Artspace 24-hour light-box installation space in the Perth CBD. The artwork is shown among a group of works by young Perth artists and is located in Grand Theatre Lane, just off Pier street, opposite Toastface Grillah toasted sandwich bar.